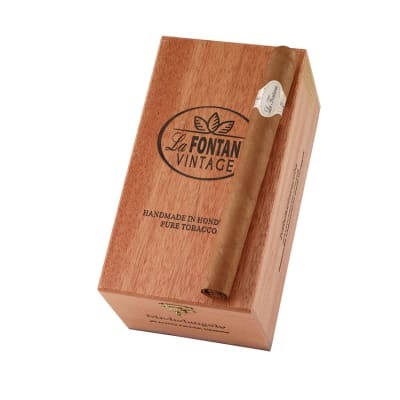 From the makers of Baccarat cigars, La Fontana Vintage premium cigars are handmade with choice, vintage, all-Honduran longfillers and silky Connecticut-seed wrappers with sweet caps. The Michelangelo selection offers you a rich, creamy and complex smoke in a mild to medium-bodied Presidente shape. 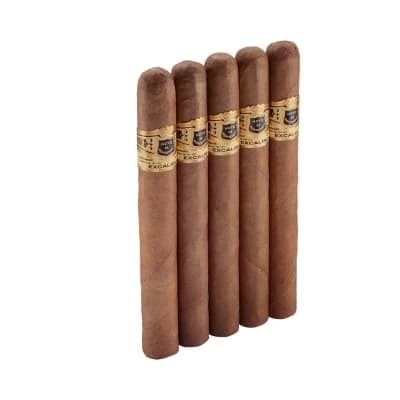 I tried these on the recommendation of a friend and they have become my regular smoke. They have a great burn and I really like the taste. They do very well with Jack Daniels on a nice evening and our my constant companion when working with my John Deere tractor. Very good on the golf course as well. I have gone through three boxes and the consistency is spot on. Cigars are always fresh. These La Fontana cigars are a gem! 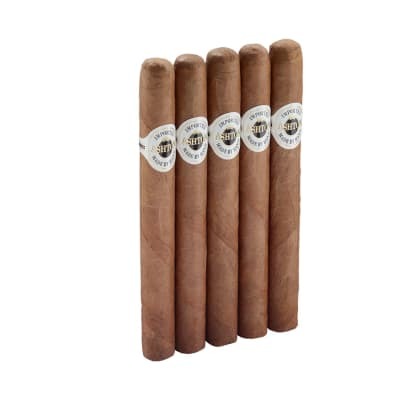 I think in appearance, construction and taste they compare very favorably with Montecristo Churchill s at a fraction of the price. 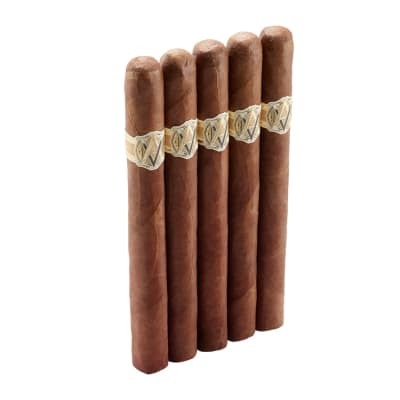 I hesitate to rate these beautiful cigars, as I want them to be in stock every monthly order just for me! So, they are very nice cigars, but don t buy any so they re available just for me! I like these, produce a lot of smoke, good draw. Nice smooth taste.